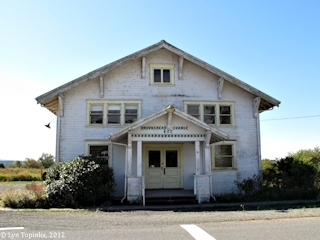 Click image to enlarge Brownsmead Grange, Brownsmead, Oregon. 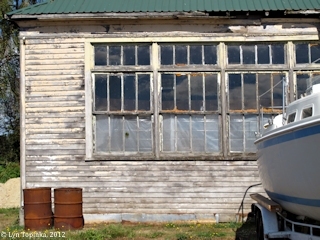 Image taken September 22, 2012. 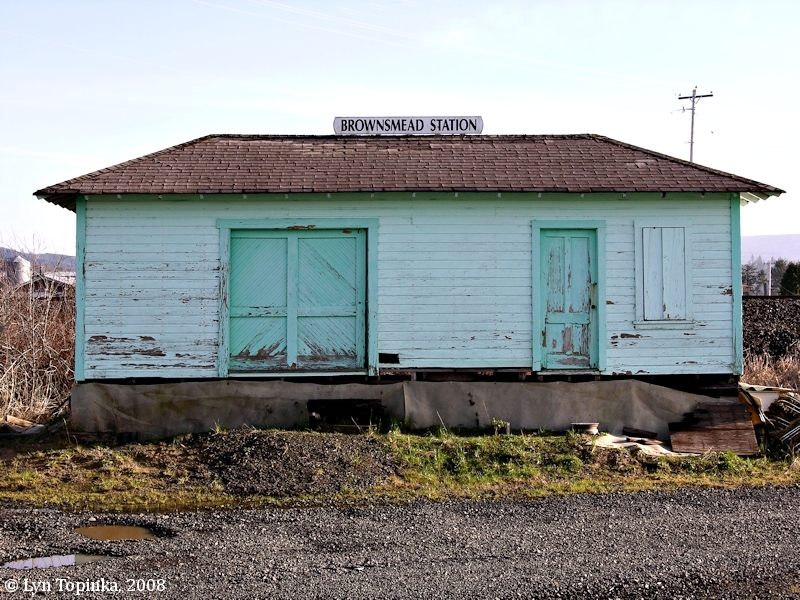 Brownsmead is a small Oregon community located inland on the floodplain of the Columbia River at approximately River Mile (RM) 27. The center of the community borders the Burlington Northern tracks and Saspal Slough. Three miles downstream of Brownsmead is Knappa and two miles upstream is Aldrich Point. 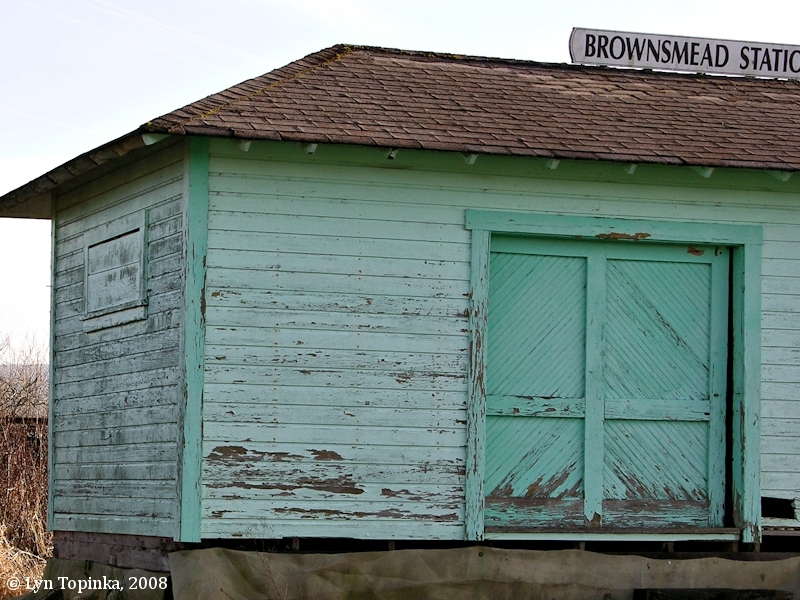 While the center of the Brownsmead community lies inland, the community is surrounded by water. 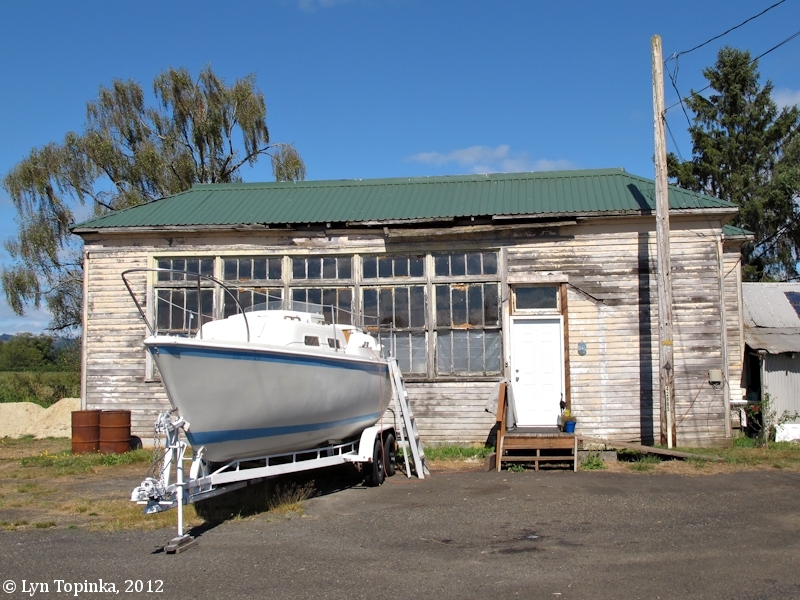 Prairie Channel and the islands of the Lewis and Clark National Wildlife Refuge lie about 1/2 mile to the northwest, and Grizzly Slough, Blind Slough, Davis Creek, and Gnat Creek circle the community. The main road into Brownsmead is called "Brownsmead Dike Lane". 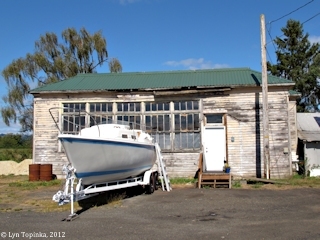 "This community developed on the bank of the Columbia River as the result of diking and reclamation carried on by W.G. Brown, a well-known engineer of Portland. 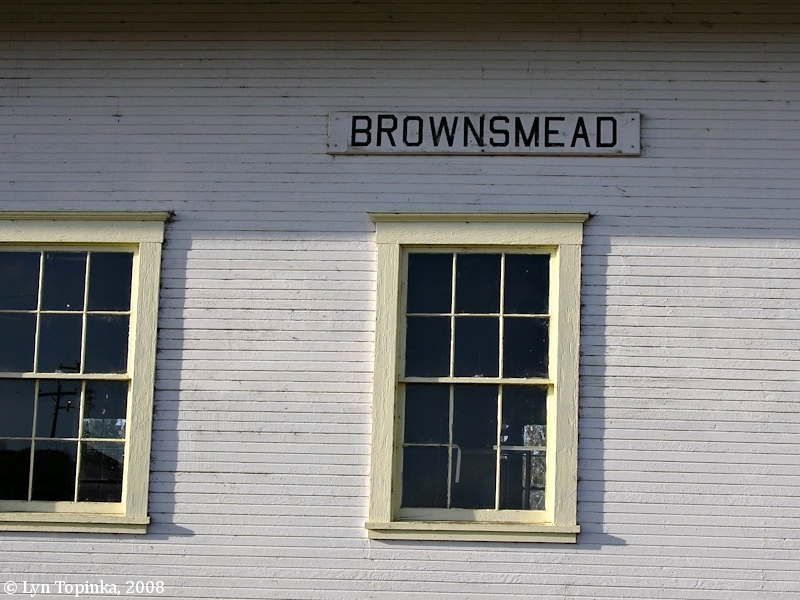 His name, coupled with the Anglo-Saxon word for meadow, formed the name of the community. It was formerly known as Brody. Brownsmead post office operated from 1919 to 1975." The Brownsmead Grange was built in 1918. 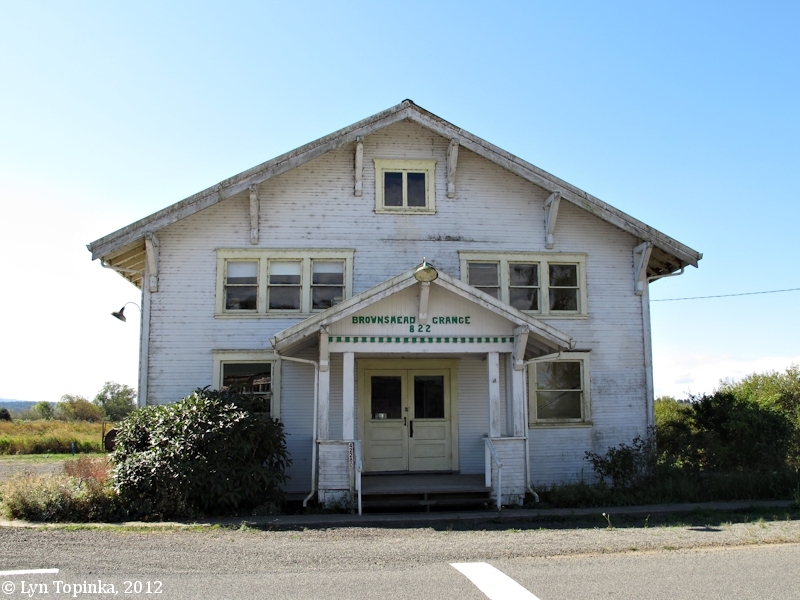 Click image to enlarge Brownsmead Grange, Brownsmead, Oregon. 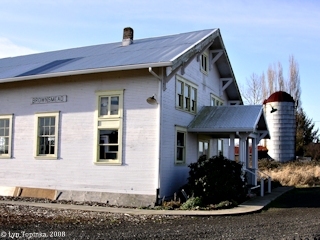 Image taken January 13, 2008. Click image to enlarge Sign on the side of the Brownsmead Grange building, Brownsmead, Oregon. Image taken January 13, 2008. 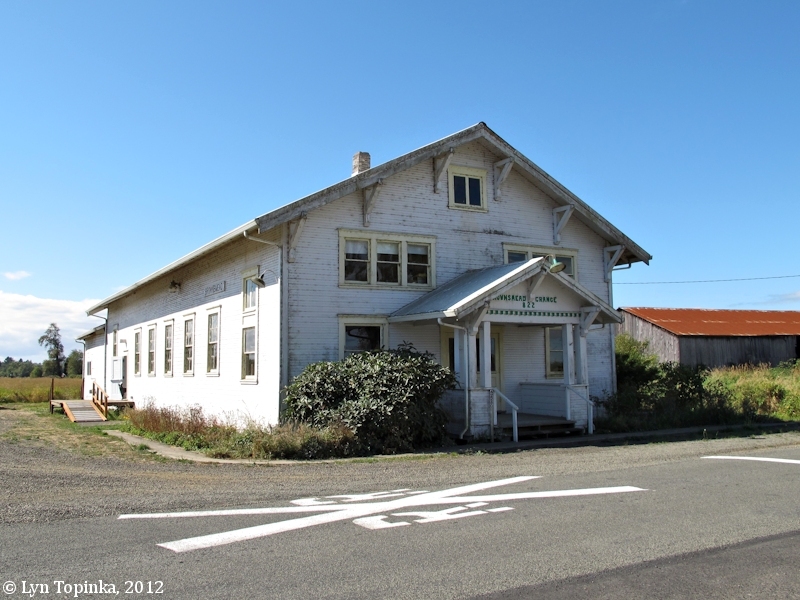 Click image to enlarge Old building, Brownsmead, Oregon. 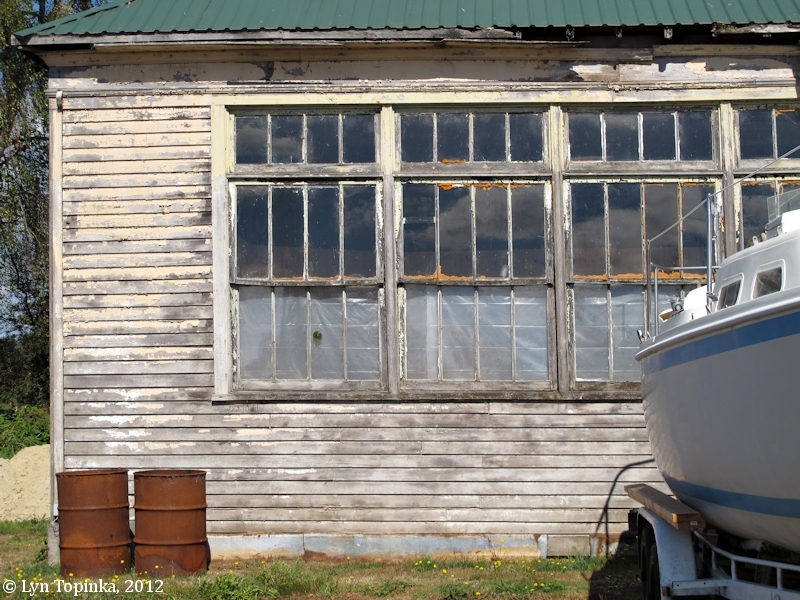 Image taken September 22, 2012. 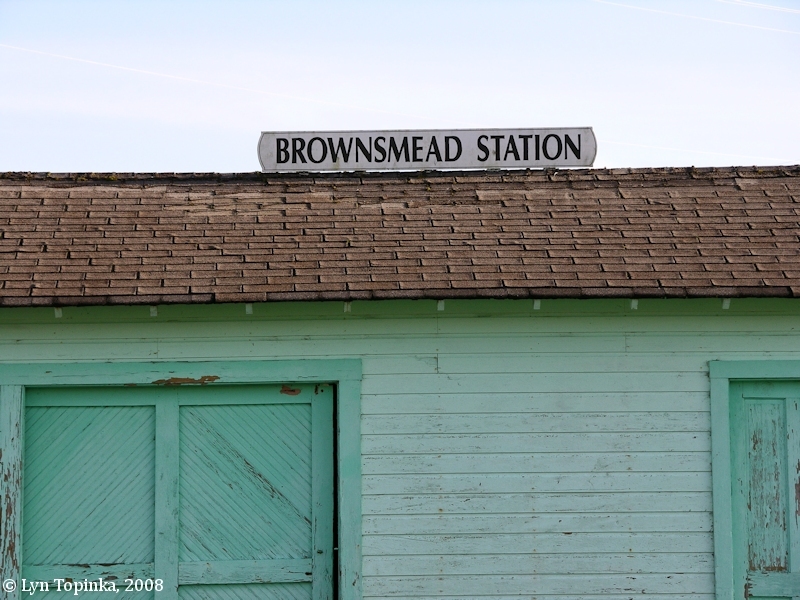 Brownsmead Station was once called "Brody". 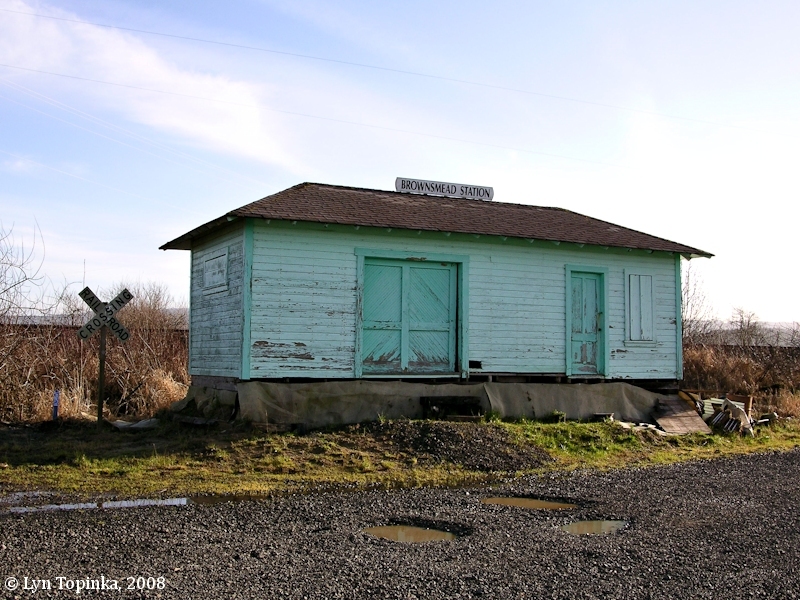 The tracks are for the Spokane Portland & Seattle (SP&S) Railway which came to Brownsmead in 1898. The SP&S became part of Burlington Northern in 1970. 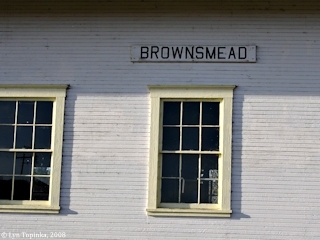 Click image to enlarge Brownsmead Station, Brownsmead, Oregon. 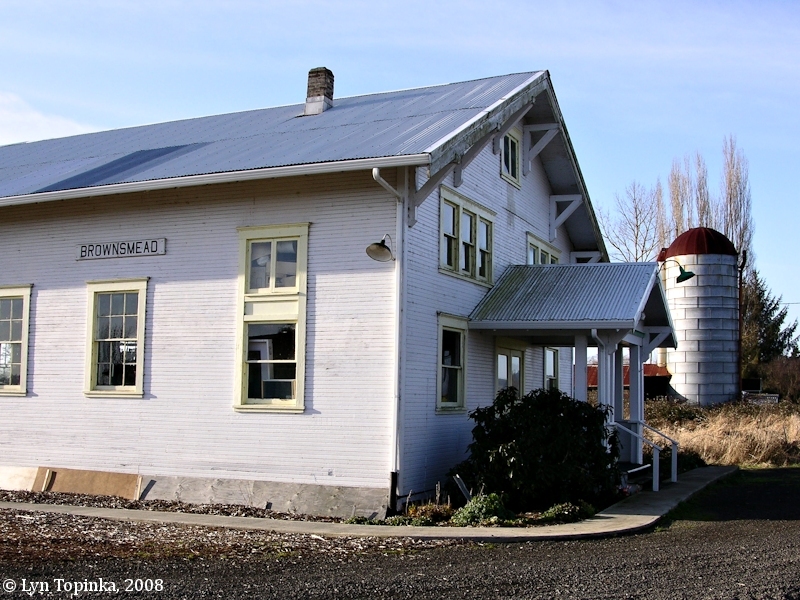 Image taken January 13, 2008. 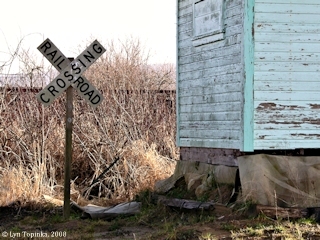 Click image to enlarge Railroad crossing, Brownsmead Station, Brownsmead, Oregon. Image taken January 13, 2008.